Big Bend National Park offers visitors many opportunities to experience the outdoors. 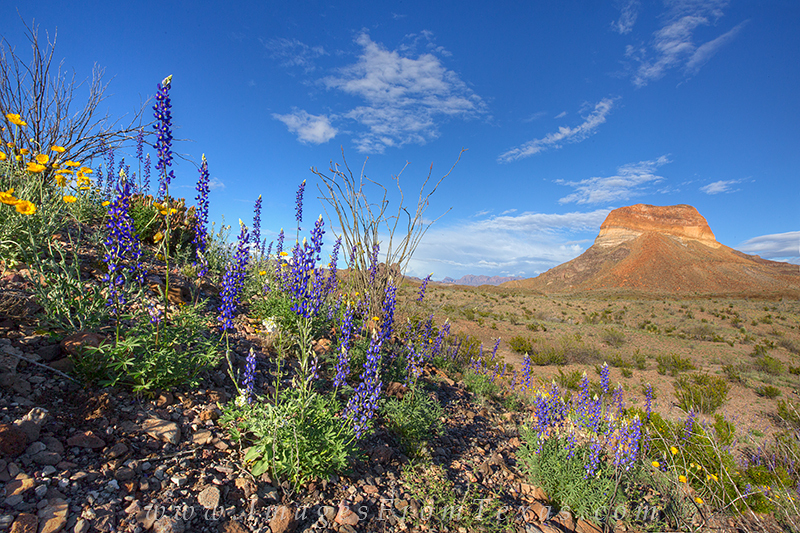 In March, the park's own version of bluebonnet blooms (Lupinus Havardii). Here along a ridge, the the hearty flower reaches for the soft sunlight of a fading spring afternoon. Photo © copyright by Rob Greebon.